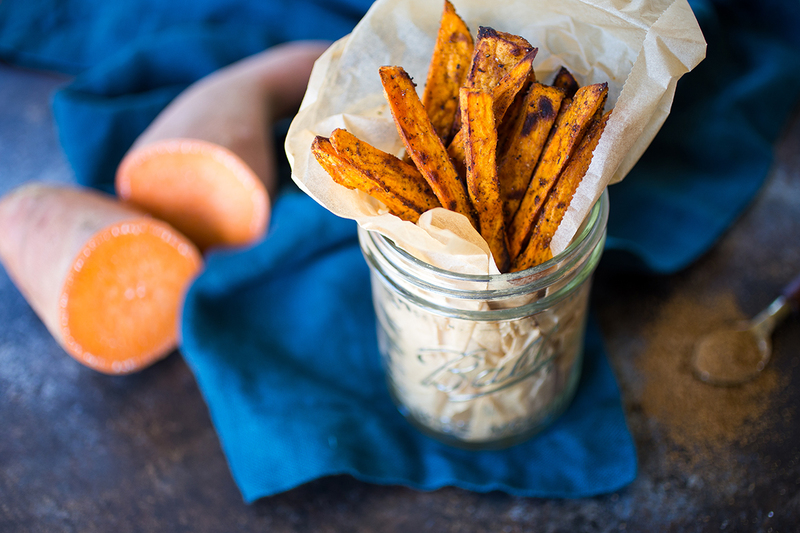 To celebrate the launch of Primal Palate’s new Taste of Asia spice pack, I decided to create this easy and delicious recipe for Garam Masala Sweet Potato Fries. There is nothing I enjoy more than super simple recipes and this one fits the bill perfectly. It only contains 4 simple ingredients and can be eaten as a side dish or snack! My favorite part about Primal Palate Spices, (aside from the fact that they are SUPER high quality), is that they make cooking so freaking easy. Who wants to bother with measuring and making sure you have 7-8 different spices when you could have a blend ready to go? I use these spices constantly and I have a feeling the Taste of Asia pack is going to go into regularly rotation in my house. The best news of all? They’re available on Amazon! Wash the sweet potatoes and peel them. Chop into 3-4 inch long and ½ inch wide pieces. 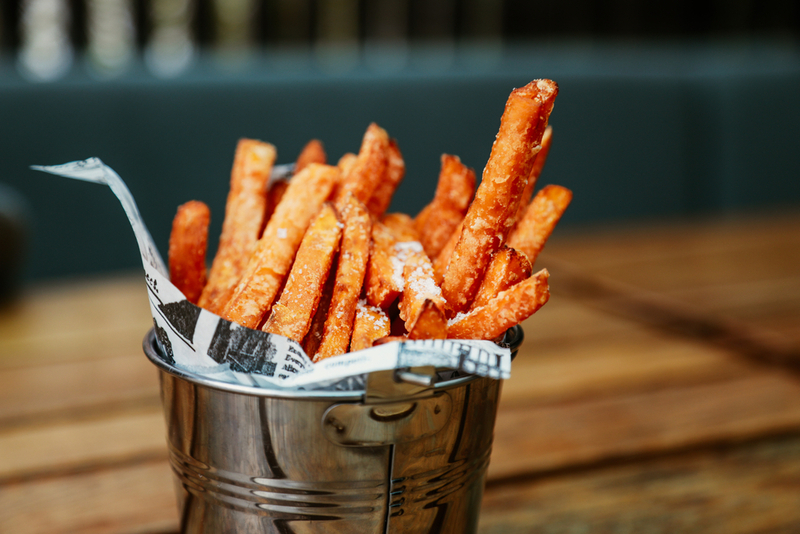 Place sweet potato fries, olive oil and spices into a medium size mixing bowl and using your hands, mix to combine well. On 1-2 parchment lined baking sheets, arrange the fries so that they are not crowding each other. Bake for 30 minutes or so, turning once, until fries are crispy and browned.